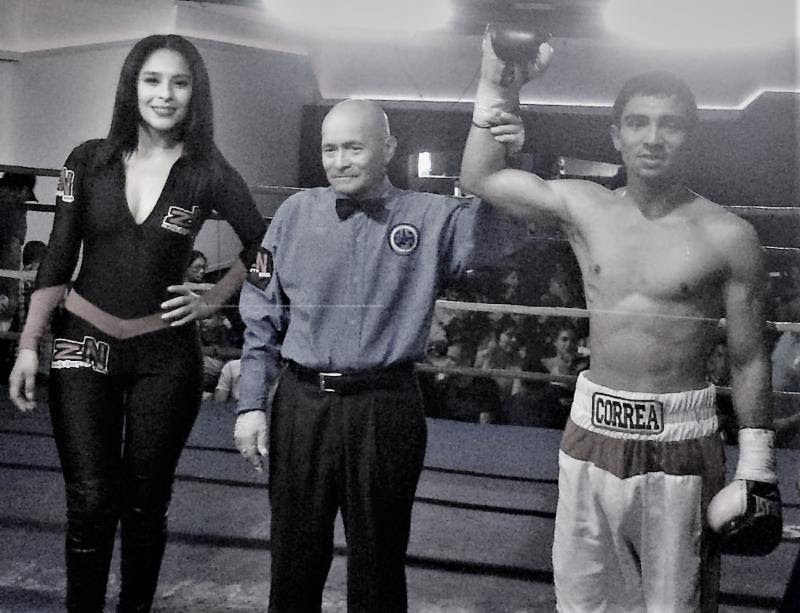 Tonight in Tijuana, Mexico, San Jose, California’s bantamweight prospect, Eros Correa (3-0, 3 KOs), remained undefeated with a second-round knockout over Cristian Vizcarra. Correa, who is managed by Cali Boxing Management, dropped Vizcarra three times before the bout was stopped. At the end of round one, Correa caught Vizcarra with a powerful right hook that sent the Tijuana native to the canvas. Correa sent Vizcarra to the canvas for the second time in the middle of round two with a left hook to the temple. Correa followed with a barrage of punches that sent Vizcarra to the deck for the third time, forcing the referee to stop the fight. With the win, Correa keeps his knockout streak alive to start his career. “Tonight, I wanted to come out aggressive and get my opponent out of there,” said Eros Correa. “Now that I’m staying busy, I’m getting more comfortable in the ring. I know with each fight I’m going to get better. My goal is to get right back in the ring as soon as possible.